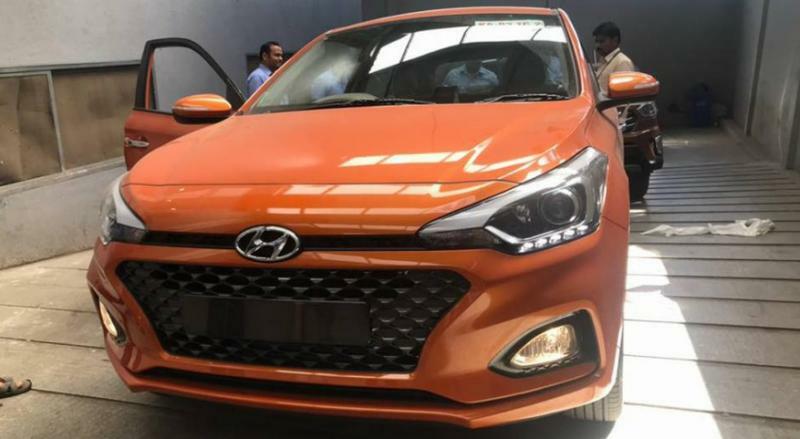 Here are clearest pictures of the 2018 Hyundai Elite i20 Facelift, a car that will be launched tomorrow at the Auto Expo. Now that we have seen the car in the flesh, only the price announcement and detailed specifications remain to be revealed. This will happen tomorrow, during the launch. 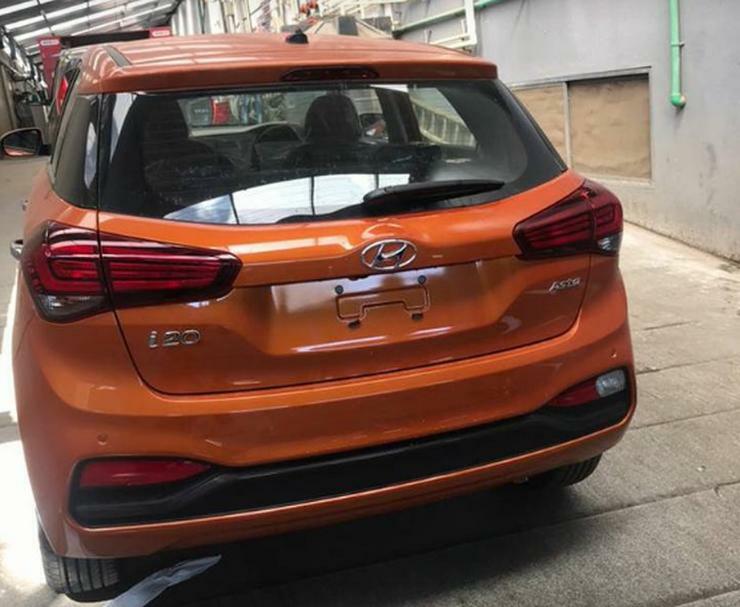 Talking about the changes on the facelifted i20 Elite, the new spyshots show that the car will be available in a new colour – orange. The front bumper and fog lamp inserts get minor changes but more or less the front end of the car remains similar to the outgoing version. At the rear, changes are more pronounced. The bumper is new and so are the tail lamps, which get more squarish than before. The hatch lid has also been given a slight reshaping to accommodate the new tail lamps, which now get premium LEDs. The interiors of the i20 Elite will remain familiar, with a high quality dual-tone finish. However, the touchscreen infotainment unit on the center console will be larger than the one in the pre-facelift model. This infotainment unit is also expected to gain new features such as Android Auto and Apple CarPlay connectivity options. Mechanical changes on the car will be limited to the addition of a new CVT automatic gearbox on the 1.2 liter Kappa VTVT petrol engine that makes 82 Bhp-115 Nm. Hyundai will no longer fit the i20 Elite with the larger, 1.4 liter petrol engine. The 1.4 liter turbocharged CRDI diesel engine with 89 Bhp-220 Nm will be retained, with a 6 speed manual gearbox as standard. The facelifted Hyundai Elite i20 will continue to compete with the likes of the Maruti Suzuki Baleno, the Honda Jazz and the Volkswagen Polo GT premium hatchbacks. Pricing of the new car is expected to start from under Rs. 5.5 lakhs. Bookings will open from tomorrow, and deliveries are likely to start soon.